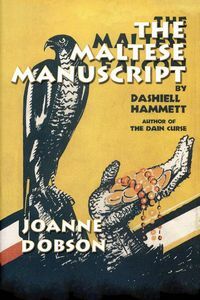 The Maltese Manuscript by Joanne Dobson, a Mysterious Review. Review: English Professor Karen Pelletier returns after an absence of several years in The Maltese Manuscript, the fifth mystery in this academic series by Joanne Dobson. There is much for mystery readers to enjoy in this book. Using a classic mystery novel (The Maltese Falcon) as a component to the plot which takes place during a mystery writers conference is clever and Dobson clearly makes the most of it. Academic environments always lend a interesting atmosphere to mystery books, and the setting here works well for the story. A feminist mystery author, rare first editions gone missing, and the inevitable murder victim are more elements in this enjoyable book. Academic mysteries take many forms, from highly literate to exceptionally soporific, but The Maltese Manuscript tends to be casual and light. Maybe not the best of this series, but certainly one of the most entertaining to read. Acknowledgment: Poisoned Pen Press provided an ARC of The Maltese Manuscript for this review.